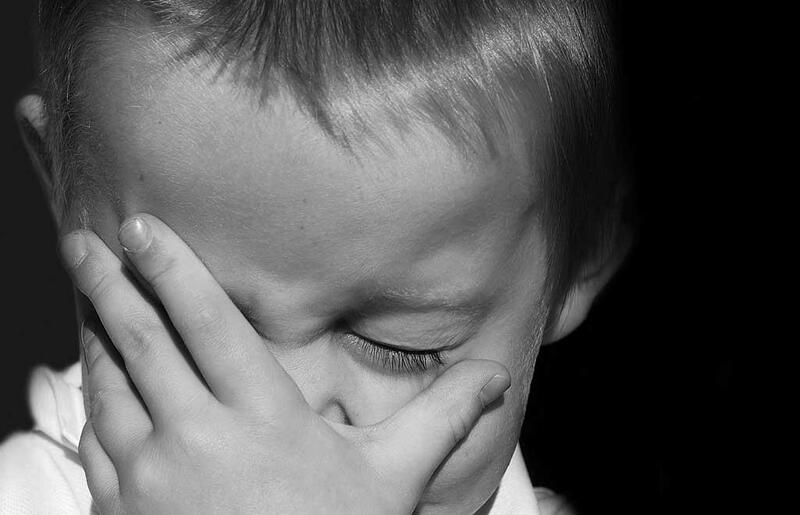 Common psychiatric problems are often diagnosed in many children at a very early age. If not known and treated on time such psychiatric disorders can have adverse affect on a child's health and future. This article helps parents to learn and understand about the common psychiatric problems in children. Many children are known to suffer from common psychiatric disorders in their childhood, though proper treatment and early diagnosis has known to help them get rid of such psychiatric disorders. Chances of suffering such common psychiatric disorders in early childhood are found to be quite common in many parts of the world. Parents may not even be able to find out about one such until the disorders affects the child in extreme. Yet nowadays parents are more alert and often watch out for such symptoms in their child regularly. Once parents know about the common points to watch out for or about the common causes of psychiatric disorders which more or less are same in many disorders, then it gets very easy for parents to learn about them in detail. Finally whatever you learn it's advisable to stay back and not jump on any conclusions until the specialists decides upon it. - Most of the common psychiatric problems are passed to children by their parents which makes it a genetic cause. - Certain biological disorders also serve as a cause of psychiatric problems in children. - Severe trauma including loss of one of the parent, physical or sexual abuse, accident and sudden shock could be one of the causes of psychiatric problems in children. - Excessive stress or unlimited pressure too can be a cause of psychiatric problems in children. - Use of drugs or overdose of certain medication can serve as a cause of common psychiatric problems in children. - Your child falls sick more often. - Your child prefers skipping school or makes excuses of stomach aches or such others to avoid going to school. - Your child has extreme mood swings. - Your child suddenly loses or gains appetite more than before. - Your child prefers staying alone in his room and stops interacting with others. - Your child academic results drop down suddenly and his teacher complains of poor performance. - Your child suffers from sudden anger outbursts which has never been part of his behavior before. - Your child gets hyperactive and starts damaging furniture or hurting others. - Your child experiences severe nightmares and complains about it often. - Your child starts hallucinating. Anxiety is one of the common psychiatric problems that prevail in children. Anxiety disorders are often overlooked by parents which worsens the child's condition. Anxiety in children can be dealt and treated in right manners by parents itself as the symptoms of anxiety mostly relate to circumstances around them and children. Few of these circumstances include stress of studies, over exhaustion, over expectations from parents and negligence. Hence once the parents know how and what has resulted anxiety in their child they are able to help the child in a better manner. Schizophrenia is a type of psychiatric disorder which still stands as one of the complex of such illnesses. In schizophrenia a child loses his skill of thinking logically and seems to live in a imaginary world which appears to be real for him. A schizophrenic child may appear normal at times but may suffer from severe mood swings and bizarre behavioral disorders. Such children are known to get argumentative or even harmful at times to even their loved ones. Basic causes of Schizophrenia include genetic disorders and environmental factors. Though this type of psychiatric disorder is rare yet when a child suffers from Schizophrenia he or she suffer from many other side effects and can be on medication and treatment for a long time. ADHD is one of the most complicated psychiatric disorders and parenting such a kid would be a great task for parents. An ADHD child is inattentive and hyperactive. Children with ADHD have less interest in studies and also tend to forget things easily. An ADHD child blabbers, fidget, fight, troubles and even suffers from sleeping and eating disorders. This disorder needs immediate attention and severe psychiatric assessment for getting cured. Parents can definitely help their child with ADHD as proper medication and treatment has known to work wonders on ADHD and hence parents need to be extra careful with children having such disorders. Depression in children is a psychiatric problem where a child suffers from severe mood swings. Common causes of depression include genetic disorder or sudden trauma. In depression a child may experience constant mood disorders where he may at times feel sad, angry, frustrated or even severely miserable. A child with depression may lose interest in studies and would even try to harm himself in a rage. Children with depression are also known to hallucinate or suffer from extreme anxiety. Parents with children suffering from depression have a major task at hand. Depression needs to diagnosed and treated on time. Dyslexia is a form of deformity or psychiatric disorder in which a child has a problem with reading, writing and speaking. In this condition a child is unable to read or write due to improper functioning of his brain and the causes for such disorder include severe injury, trauma or even genetic disorder. A dyslexia could be of many types and is easy to overcome of early diagnosis along with proper treatment is provided. A dyslexic child needs proper care and medication to overcome this psychiatric disorder. Personality Disorder is one more common psychiatric disorder where children imitate or develop a belief in dramatic personality which is completely different from their personality. Within this disorder the child develops certain mood swings which may affect their mental state and would also have some adverse affect on their life. In such disorder a child finds it difficult to relate or cope with the original world and thus may even stop interacting with his family thus making everyone worried about him. Antisocial personality disorder and Borderline personality disorder are some of the types of personality disorders commonly found in children. Please don't decide for yourself whether your child surely suffers from one such psychiatric problem mentioned above. If such symptoms or causes exist take you child to a specialists who would give a better advice and decide for that matter. Are you worried about anxiety attack and general anxiety disorders in your children? Read this article to learn more about various anxiety disorders and how to help your children deal with them.